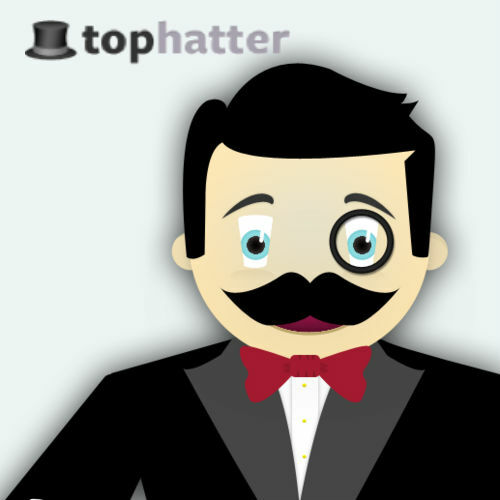 Have you heard of the new online shopping resource called Tophatter? When the site was introduced to me less than a month ago, my first thought was, “Really? Do we need another online site selling stuff?” However, it didn’t take long for me to realize that this site was different, since items are sold live by way of virtual auction rooms. Think of you and a bunch of other people at an auction, only the best part is you get to be there in your PJ’s on a Sunday morning while sipping your coffee. That’s what I did. After watching a brief tutorial on how it all worked, it was time for me to head to one of the auction rooms. I knew where to go since items are categorized in to different themes, such as Supplies, Stocking Stuffers, Jewelry, Designer Brands, and more. It was easy to click on the heading of each room and see what was up for sale at each of the auctions. Jewelry caught my eye (of course! ), so I went into that room to see what it was all about. At first I just sat back and watched what everyone else was doing, kind of like being the new kid at school. But, it didn’t take long to want to join in the fun, and the bidding began. The first lot item of interest to me was a silver bracelet. The auctioneer introduced the bracelet and I was also able to read its specifications, as well as ask the seller any questions by typing them at the bottom of the screen (where it says “Chat here…”). It was easy to place a bid by clicking on the button where it shows the next bid amount. I watched the bids go up on the screen, but I wasn’t committed to making a purchase just yet, and someone else placed a higher bid. Very quickly it was on to the next lot item, which was this oval ring (not really my thing). On the bottom right hand side, it showed me all the jewelry pieces coming up for sale. After looking through the lots, I decided to check out another auction called Supplies. 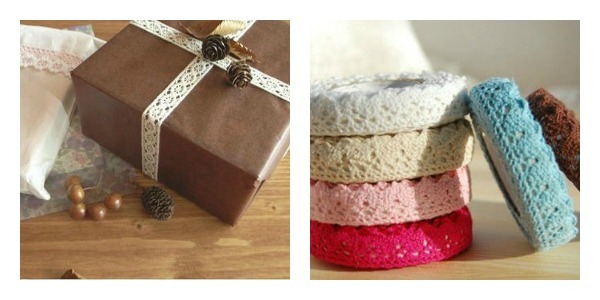 I began to scroll down the list and found some cotton lace adhesive tape I thought would be great for craft projects or wrapping presents. Apparently it was a popular item since it sold above suggested retail price at $24. Although I haven’t been able to score my first item on Tophatter yet, I’m not discouraged at all. In fact, I’ve RSVP’d for a few upcoming auctions featuring items I’m interested in. I suggest seeing what it’s all about for yourself, and be sure to let me know what you find! As a special bonus to satori readers, receive a $10 credit to use on your first purchase at Tophatter simply by signing up. Happy shopping! 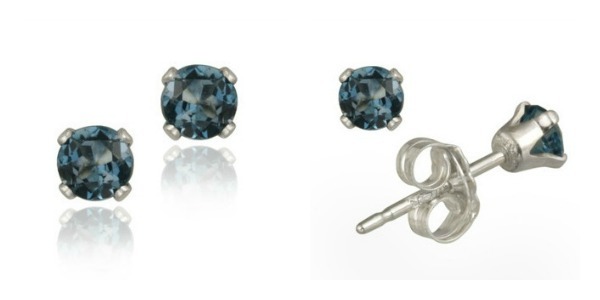 A few days after posting this, I was able to purchase these genuine london blue and sterling silver earrings for only $22. The seller gave an approximate retail value between $110-150, so I’m over the moon! *This is a sponsored post written by me on behalf of Tophatter. The opinions and text are all mine- as always. Have you discovered the addictive new auction site called Tophatter, where buyers bid for sellers’ unique goods in fast-paced virtual auction rooms? From crafts and DIY projects, to antiques, jewelry, home décor and much more, there’s no limit to what you can discover on Tophatter. With live auctions every day, sellers get to showcase their wares from around the world to a community of thousands of buyers, and answer questions via chat as the clock ticks down. Each lot sells in an average of two minutes, so buyers must bid quickly! 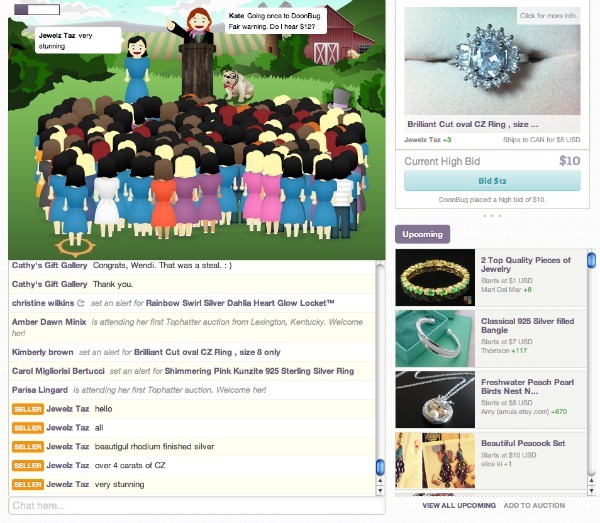 Tophatter’s auctions become interactive live events where buyers and sellers can hang out, chat, and win. Led by the esteemed Sir Wendell Wattington and his animated family, Tophatter auctions keep the fun rolling in. It’s the thrill of the hunt, as well as getting something at a great price that has me going back. Let me know what you think!